+++SALE PENDING+++WE SHIP NATIONWIDE! 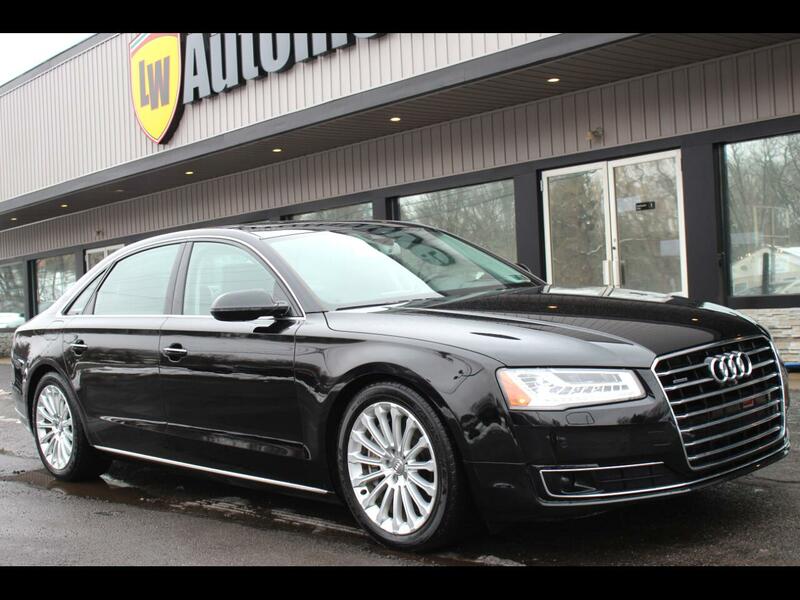 2016 AUDI A8 L QUATTRO SEDAN FOR SALE. BLACK ON BLACK! 3.0L V6 SUPERCHARGED ENGINE PRODUCING 333 HORSEPOWER! CLEAN CARFAX SHOWING TWO PREVIOUS OWNERS, NO REPORTED ACCIDENTS AND REGULAR OIL CHANGES! NICELY OPTIONED WITH BACK UP CAMERA, BLIND SPOT MONITOR, HEATED AND COOLED FRONT SEATS, REAR HEATED SEATS, HEADS UP DISPLAY, NAVIGATION, BLUETOOTH, SATELLITE RADIO READY, HID HEADLIGHTS, KEYLESS START, POWER SUNROOF AND MORE! THIS VEHICLE WILL HAVE CURRENT PA INSPECTION FOR ANY PA BUYER. THIS A8 IS LOCATED AT 9234 PERRY HWY PITTSBURGH PA 15237. PLEASE CALL 412-366-7400 FOR MORE INFO OR TO SCHEDULE A TIME TO SEE THIS VEHICLE. Message: Thought you might be interested in this 2016 Audi A8 L.